Join C.E. 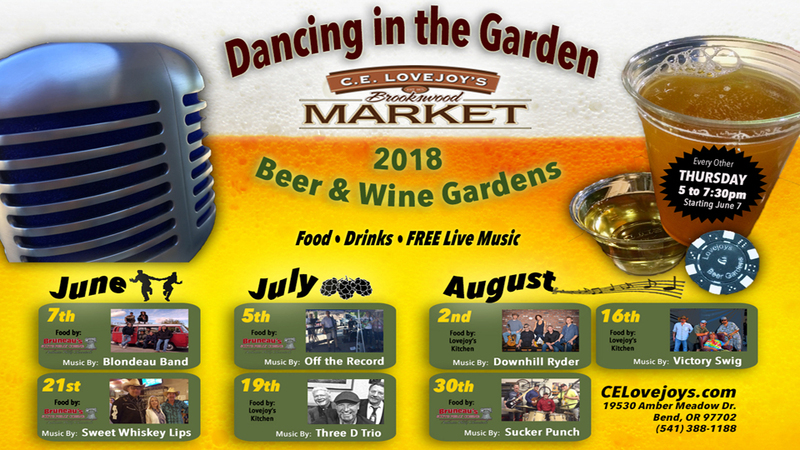 Lovejoy’s for summer “Dancing in the Garden” Beer & Wine Gardens in 2018, starting on Thursday, June 7th and continuing every other Thursday through August 30th! From 5:00 p.m. to 7:30 p.m. there will be live music, food, drinks, and family fun! All are welcome to join in the Bend summer experience at Lovejoy’s.